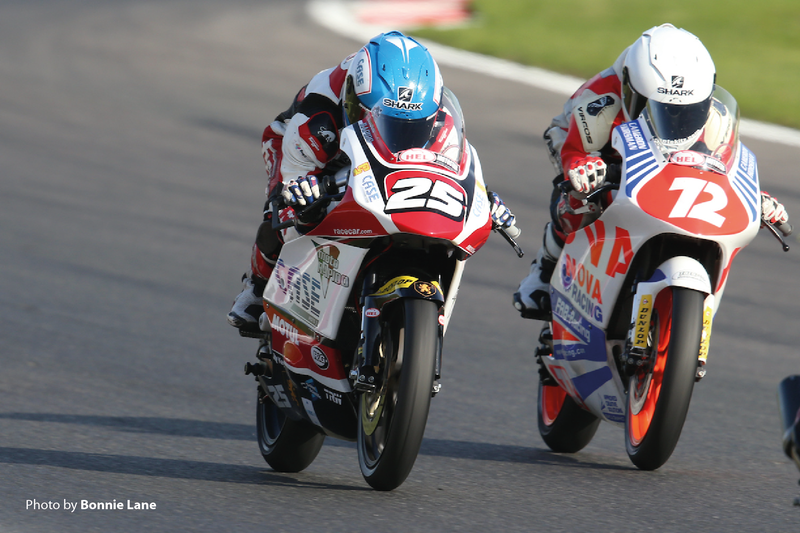 After 18 races the Hel Performance British Motostar season drew to a close at Brands Hatch last weekend. 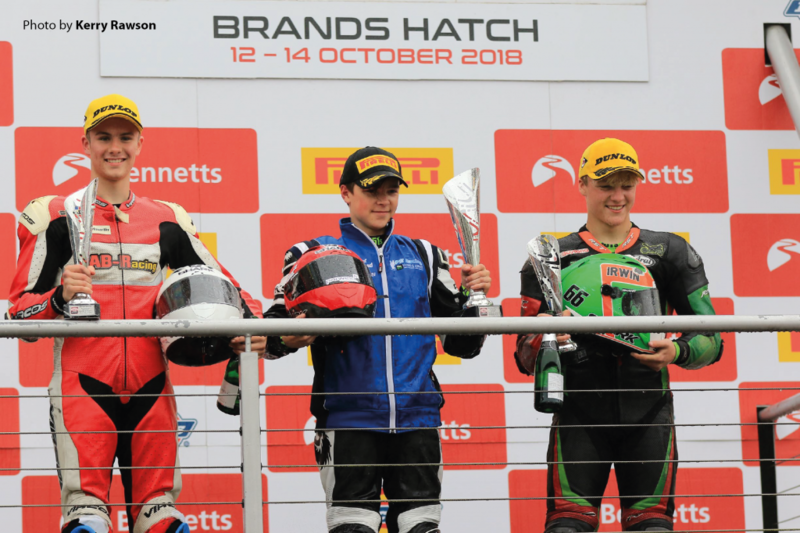 Forest Hill Moto3 racer Cameron Horsman secured a podium in the final race despite awful racing conditions with standing water on the track. The second place result was his third podium of the season and he finished sixth, tied on points with the rider in fifth. That rider had a race victory which gave them the advantage over Horsman. Conditions were good if somewhat windy for Friday’s two free practice sessions. In the morning session Cameron Horsman clocked the third best time a 1:38.610. In the afternoon his times were almost identical and he ended the day fifth overall. Horsman reduced his lap time during the 30-minute qualifying session. After completing 13 laps the Londoner saved the best until last posting a 1:37.684 which put him fourth fastest in the standard category and only half a second behind the pole- sitter. 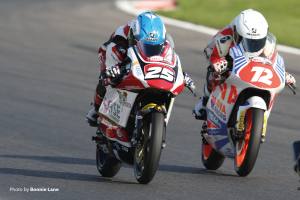 The number 72 of Horsman was involved in a ten lap battle which involved Thomas Strudwick, Scott Ogden and T-Fox Moreton. On lap four he managed to move into second place behind race leader Max Cook but the group of riders was very closely matched. Strudwick managed to overtake in the middle of the race before Ross Turner came through three laps from the end. Horsman crossed the line in fifth. Horsman has proved previously that he is competitive in the wet and he needed to be at his best in treacherous conditions on Sunday. The 12 lap race had standing water on certain parts of the circuit and almost half of the standard class field failed to make the finish line. Horsman kept a steady head and was quickly into fourth place in the early laps of the race. He then moved into third place on lap four. Continuing to negotiate the tricky, slippery surface whilst many around him tumbled out Horsman eventually crossed the line in a fantastic second place to end the season with his best result of the season.